Game of Thrones will premiere season seven later this month, and there is big news. Fans of the series will be able to see it on Hulu. The streaming service has added HBO and Cinemax to its roster. HBO and Hulu released a press statement detailing the new deal. Check that out below. “Just in time for summer binge-watching, Hulu and Home Box Office, Inc. (HBO) announced a new agreement that gives Hulu’s subscription on demand and live TV viewers access to an even more complete entertainment package, all in one place. Beginning today, viewers using the new Hulu experience can stream all of HBO’s critically-acclaimed, award-winning series, blockbuster theatrical movies, documentaries, sports, and comedy and music specials – both live and on demand – directly within the new Hulu experience by adding the premium channel to their service for $14.99 per month. The deal also allows subscribers to add Cinemax for $9.99 per month. Both premium add-ons are now available across all of Hulu’s subscription plans, ahead of the highly-anticipated summer premieres of Game of Thrones, The Defiant Ones, Ballers, Insecure and more. With the HBO and Cinemax add-ons, subscribers can now watch their favorite premium series, films and specials from each network within Hulu’s personalized, flexible user experience. HBO’s world class programming including hit series Veep, Last Week Tonight, Vice, Silicon Valley and Sesame Street, acclaimed limited series such as Big Little Lies and The Night Of, as well as recent box office hits like X-Men: Apocalypse, Independence Day: Resurgence, Suicide Squad, Jason Bourne and The Boss, can now be seamlessly streamed on demand alongside Hulu’s growing offering of acclaimed original series, current season television and live TV channels. The Cinemax add-on offers instant access to hundreds of theatrical hit movies such as The Purge: Election Year, Warcraft and Deepwater Horizon and original series including The Knick, Outcast, Banshee, and Quarry – all within Hulu’s streaming environment. 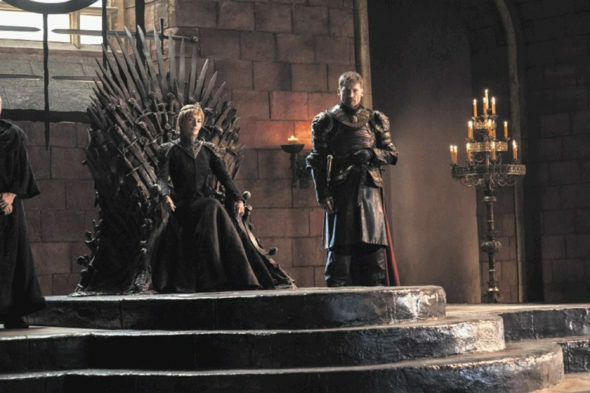 HBO and Cinemax join Hulu’s growing offering of subscription plans including its $7.99 per month Limited Commercials plan, $11.99 per month No Commercials plan, and Hulu with Live TV (Beta), which includes live and on demand programming from more than 50 popular sports, news, entertainment and kids’ channels – plus Hulu’s deep existing premium streaming library – for $39.99 per month. Will you check out HBO shows on Hulu? Tell us what you think. More about: Game of Thrones, Game of Thrones: canceled or renewed?, HBO TV shows: canceled or renewed?, Hulu TV shows: canceled or renewed?